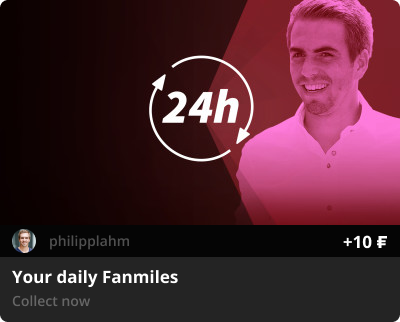 How can I recognize an opportunity to collect Fanmiles? In order to collect Fanmiles, look for the plus sign (as seen in the image below). This number tells you how many Fanmiles you can collect with that particular transaction. Click the "collect" button in order to collect your Fanmiles. How can I collect Fanmiles? Fanmiles ID: Show your Fanmiles ID or type in the number in a field provided to collect fanmiles from participating partners. Shopping: You can collect Fanmiles at many different online shops. Place your order on the website or app and your Fanmiles will automatically be credited to your account. Enter Codes: You can find Fanmiles codes in newsletters and on cards from various partners. They consist of numbers and letters that you can enter with your Fanmiles Wallet. Scanning Codes: You can scan QR codes or barcodes with your Fanmiles Wallet, in order to collect Fanmiles. I have ideas for new ways to collect Fanmiles. We're constantly working on developing and updating features for our app. If you have any innovative ideas for how to collect Fanmiles, feel free to contact us via facebook, support chat or email. We look forward to hearing your ideas! They will not expire and therefore you can use them when and how you’d like.